While scouring my cookbooks for some baking inspriation, I came across this muffin variation in "Breaking The Viscious Cycle" by Elaine Gottschall. 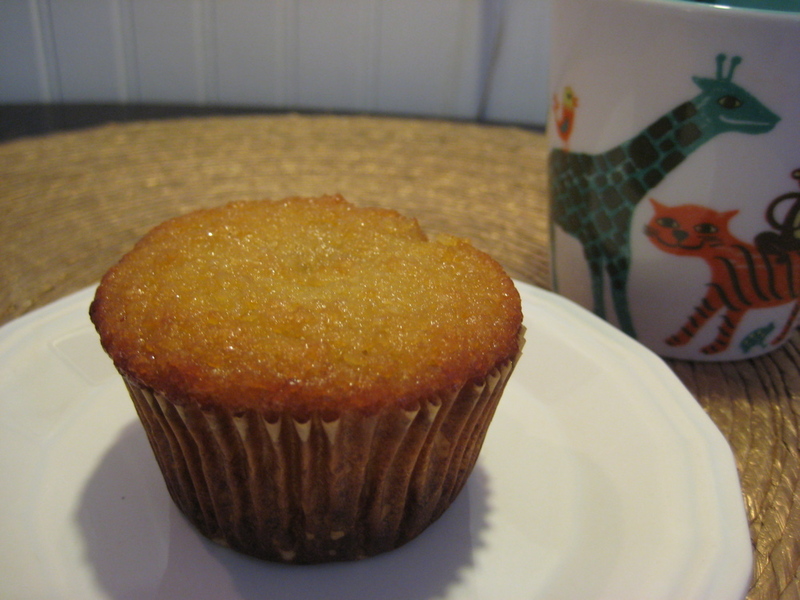 I tweaked it a bit to add more flavor and ended up with this fresh and tasty muffin. These would make great cupcakes! Since receiving a Cuisinart Food Processor for my birthday, I've been trying to use it more in baking. You can mix this recipe by hand, which is what I've been doing until now. However, I do think the food processor gives a smoother texture to the overall finished product. Line a muffin tray with unbleached cupcake liners. Mix the yogurt, honey, eggs, orange zest and almond extract in a food processor for a few seconds. Add the blanched almond meal, baking soda and salt and mix for a few more seconds. Stop the food processor, scrape down the sides and mix again until fully blended. Using an icecream scoop for consistency, scoop the batter into the lined muffin tin to about 3/4 full. Thanks for your comment on my post, your muffins look good :) My daughter has severe allergies though, to tree-nuts so we can't use almond flour. Nice, but you don't need the almond essence as it over powers the delicate flavour.